Take everything you know about theme park lines and just throw it away. Just kidding ... well, kinda. Disneyland recently revamped its free FASTPASS system, which is still in place, and introduced an optional, paid service called Disney MaxPass. 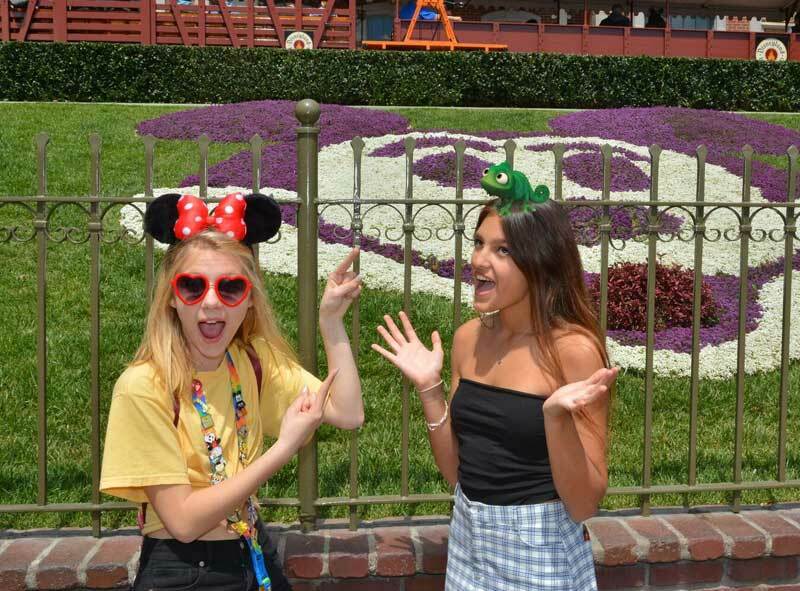 Since its debut, our frog squad spent our days literally hopping from one ride to the next without standing in line or running all over the park to collect FASTPASSes. While our daily step count is down, our ride numbers are way up. Ribbit! We hopped between both parks to review Disney MaxPass (and its accompanying Disney PhotoPass!) 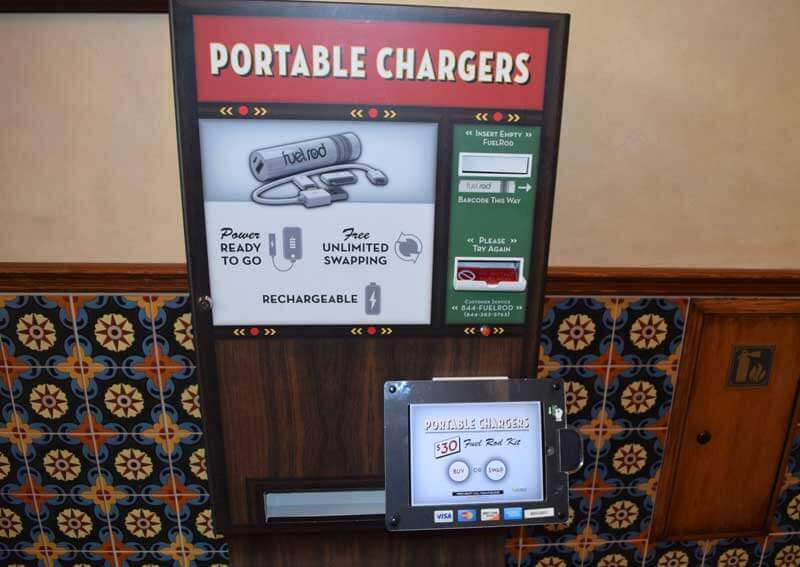 We've tried to anticipate the questions you have and played around with Disney MaxPass to see what works, what doesn’t and — most importantly — how to conserve phone battery in the park. Disney MaxPass is an optional, paid program. It allows guests to book Disney FASTPASS reservations through the Disneyland Resort Mobile App and allows unlimited Disney PhotoPass downloads for the day. The price for Disney MaxPass is $15 per person, per ticket, per day. (Be sure to get a hop on your discount Disneyland tickets by purchasing through us!) 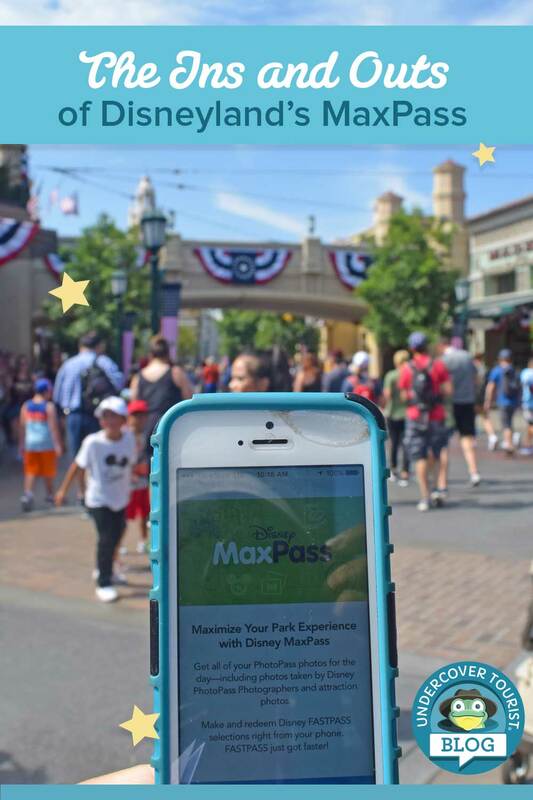 Guests can purchase Disney MaxPass as an add-on through the Disneyland Mobile App once they enter either theme park. Annual Passholders may purchase just a day through the app after entering the park or purchase an annual plan for $100 that expires when their current pass expires. All guests still have the option to scan their park tickets at individual FASTPASS attractions with no additional charge. It is important to understand that all FASTPASS reservations — Disney MaxPass and paper FASTPASS — are now electronically linked to a guest’s park admission ticket (or annual pass). This has some positive benefits that we'll discuss! Does the $15 cover my whole family? The Disney MaxPass is $15 per ticket per person, per day (the price went up from the introductory $10 to $15 on January 6, 2019). So for now, a party of 4 x $15 = $60 for one day. Each member of your group will connect his or her park admission ticket to the app to use Disney MaxPass. You may do that ahead of the day you're visiting, but it won't be active until the day you visit. If someone in your party does not enjoy most of the attractions that offer FASTPASS or is too short, you might avoid buying them a MaxPass and use the Rider Switch service as well, although there are rides on FASTPASS without a height requirement. Children under 3 do not need a park admission ticket or MaxPass to join their family on an attraction. Rider Switch has also changed to a new digital system. When the first riders are ready to ride, the entire party must check in at the FASTPASS return line. You'll be divided into two parties. Party 1 includes the first riders. Party 2 includes at least one supervisor who stays with the child and up to two guests, who may also be part of Party 1. 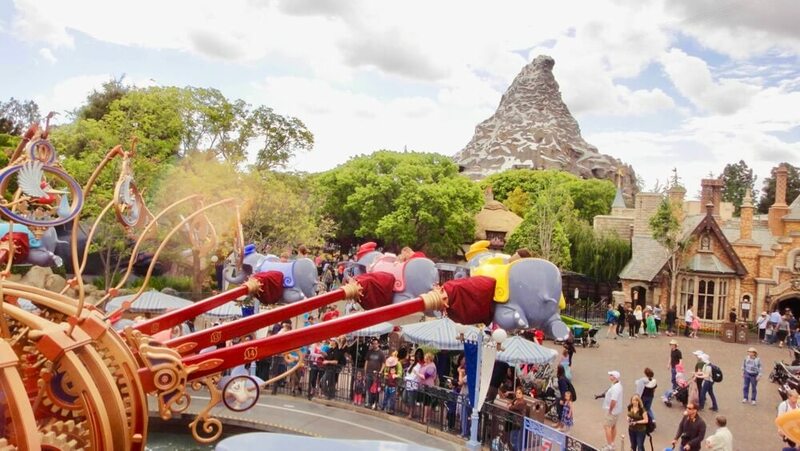 A cast member will scan the ticket of the supervisor and any two people who will be riding with him or her, giving that party 2 group an extended return time window (usually adding 15 minutes to the return time) to use after the first party has returned to take their turn in supervising the child. The supervisor can usually bring up to two guests with them when they ride, but these people must have scanned their tickets before Party 1 took their turn. Anyone who thinks they might want to ride again should scan their ticket up front just in case. What if we are traveling with a large group? One of the good things about Disney MaxPass is that it offers flexibility. Some but not all members of a group may have MaxPass. People can manage themselves or one person can manage everyone. Even a little of both can occur! If you have several family groups traveling together, have each family set up their own family account in the app and load their own credit card for food and MaxPass purchases. Then choose one or two people to manage the whole group (usually up to 10 people) so it is easier to get the same reservation windows. People who are managed by others can use their own accounts and manage just themselves if they want to split up from the group. For example, when we visit Disneyland with Flora's sister's family, Flora adds everyone to our family MaxPass so she can make FASTPASS reservations for the group. The other family also creates their own account on their devices in case they want to purchase food through the new Mobile Order service, make their own restaurant reservations or split up and make their own FASTPASS reservations. If you are managing a group, each time you reserve an attraction you can specifically select which party members will go on each ride. You might all want to ride Soarin’, but then a smaller group might feel like braving Incredicoaster, while others want to go on Goofy's Sky School at the same time. Some park hopping party members might want to break off and visit attractions in the other park. Disney MaxPass allows for that flexibility, but anyone who uses their device to log in to a managed account can reserve rides, view upcoming FASTPASS reservations and use PhotoPass. You can even have party members in your profile who do not have MaxPass benefits that day. 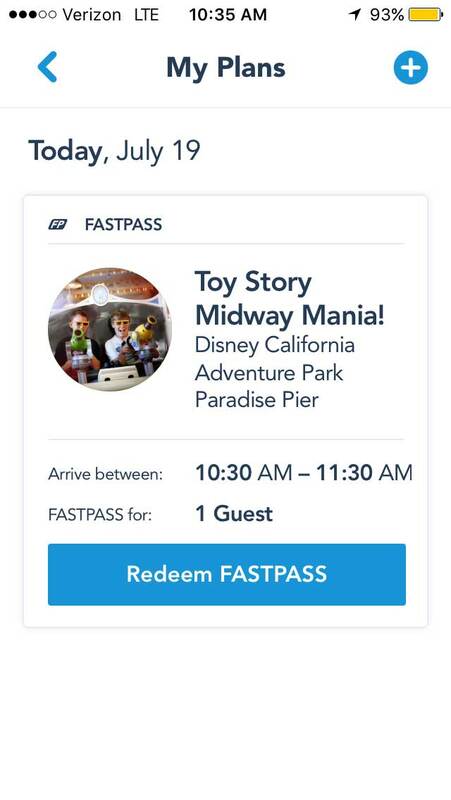 If some members of the group are using the free FASTPASS paper ticket service, you can still link their ticket to your phone and see their FASTPASS plans show up in the app (parents like keeping tabs on older children this way). Even if everyone’s pass is synced to their devices, one parent or leader can manage the group, but the same information can appear on the group member’s app on their smartphone. Having the information on multiple devices makes it easy to adjust if group members decide to split off for a while or one of the devices runs out of battery and someone needs to take over. How can I prepare for Disney MaxPass? Before your trip, download the free Disneyland Mobile App to your smartphone. 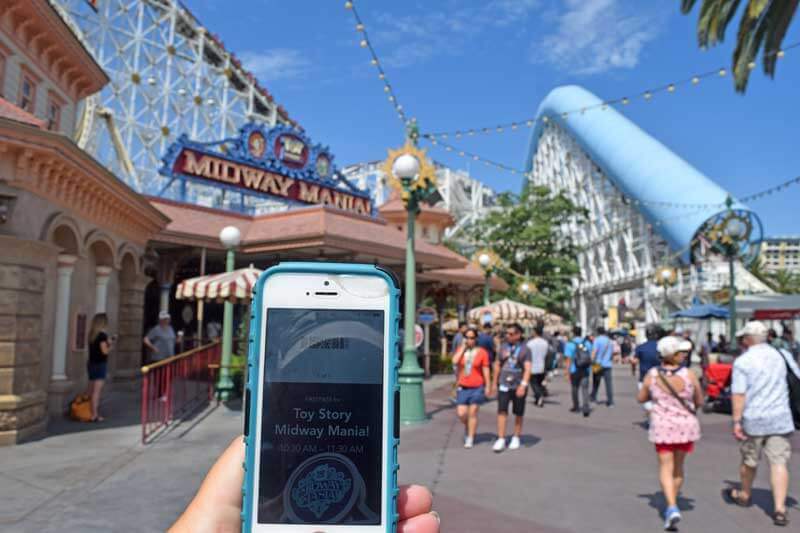 Play with it so you can get familiar with how it works and to research the wait times, see where to find characters, make dining reservations, find Wi-Fi hotspots or see the types of parades and shows in the park. Put your credit card into the app. Share the login and password with family members who also want to log in and use Disney MaxPass on their device. They may also choose to set up their own accounts if they like. We recommend that people from other households set up their own accounts, as well. Just link all of the tickets to at least one manager and you will be good to go. If you are purchasing Disney MaxPass in the app once you have entered the park, this will make for a smooth process, allowing you to reserve FASTPASSes right away. If you have a barcode on your tickets, you can add them in advance. Just open the app, click My Tickets and click the + at the top. Click Link Tickets & Passes and center the barcode on the screen. Be sure to add the correct name to each ticket when you enter them because you will not be able to change it later, and you’ll want a proper name for each one to make your life so much easier when using MaxPass. How do I purchase Disney MaxPass? If you are purchasing discount Disneyland tickets with us, purchase MaxPass through the Disneyland Mobile App as soon as you enter the park. All guests with mobile tickets or tickets printed from home will be given a paper ticket upon entering the park. That paper ticket can be used to obtain regular FASTPASSes or scanned into the Disneyland Mobile App to be managed and purchase MaxPass. Note that if you choose MaxPass for a multi-day ticket when buying in advance, it will charge you an extra $15 per day per ticket. So a 3-day ticket would have an extra $45 added to it (per person). If you do not want to buy MaxPass for all three days, do not select the option to upgrade. You can hold off if you just want to try it out for a day. There is no multi-day discount for reserving in advance. Keep in mind that a person may manage up to 10 people on one account, so if you have a larger group, you might have more than one manager. We have found it much easier to have as few people as possible making the reservations for the whole group. This ensures you can all get the same return window. Open the Disneyland Mobile App. If it your first time, you might see the MaxPass opening screen; select Get Started. (If you do not see a MaxPass notice, click the + at the bottom and select Get FASTPASS with Disney MaxPass. Scan Barcodes from tickets or annual passes to add party members. (Be sure to add the ticketholder’s names properly at this stage to identify those ticket holders later when using the app). Select the members you want to purchase for (you can have party members who are not buying that day but might buy another day) and select Continue to Purchase. It will confirm which party members you are and are not buying for. Click Continue to Purchase. Sign in to your account (again, it is easier if you have already set up the account at home). Then Confirm & Purchase and select Purchase. You should get a confirmation: "Congratulations! You may now start reserving rides." Make your first FASTPASS reservation immediately. How do I Reserve a FASTPASS with Disney MaxPass? Find MaxPass one of several ways: Click the + at the bottom, click the magnifying glass at the bottom and type in “MaxPass” (Disney MaxPass may be the first item under Popular Searches) or click the three lines at the bottom and then click My Plans followed by clicking Get FASTPASS with Disney MaxPass. Create a FASTPASS Party — select the people who want to ride on the selection you are about to make or attend the show. Deselect anyone who does not want a FASTPASS for that ride/show or does not even have a valid MaxPass for the day (if members do not have a valid pass and you select them, it will take you to purchase. Don’t re-purchase anything unless you want to add them on to MaxPass). Select a Theme Park (if park hopping). 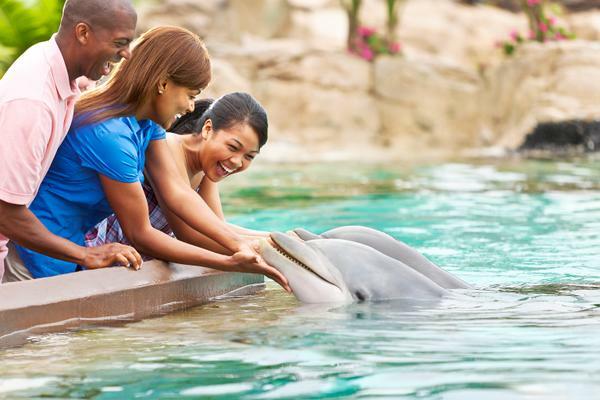 Choose an Experience by browsing through the available attractions and times to find the ride and time that works for you. Review and Confirm — hit Confirm. It will say, “Congratulations! Your selection is confirmed. This party can make a new FASTPASS selection at such and such time.” Note that time and set an alarm on your phone to remind you to book the next ride. You can make a new selection even if you have not used the other FASTPASSes yet. Each ride may have different FASTPASS party members. Back at the home screen, click My Plans to see any rides and the return windows you have reserved, as well as dining reservations. The return window is an hour, but you can use it 5 minutes before the return window and up to 10 minutes after. To redeem your FASTPASS, scan your park ticket or pass at the FASTPASS return entrance (saves phone battery) or the app by clicking Redeem FASTPASS. It may also just pop up on your device when the pass is ready. Take a screen shot of the reservation just in case you have trouble accessing the app or you need to check what time you can reserve your next FASTPASS without opening the app. How will I use the FASTPASS at the attraction? Both Disney MaxPass and regular FASTPASSes are scanned at the FASTPASS return near the ride entrance. Cast members will have you scan either your park ticket or mobile phone at the FASTPASS return line. The park ticket works because all reservations are linked to that park ticket. A screen shot of the digital FASTPASS also works with the scanners. You can even text this screen shot of the FASTPASS to your party members if needed. Can I use MaxPass during Magic Morning and Extra Magic Hour? 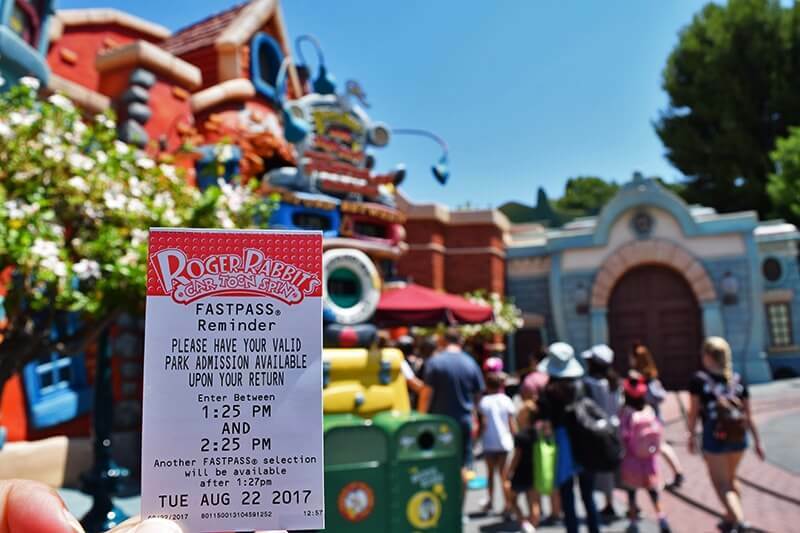 We are very excited to say that you can get a jump on your FASTPASS reservations once you have entered the park during early entry. If you have a Park Hopper ticket, you can also make FASTPASS reservations for the other park that is not open yet. All the return windows begin once the respective park is open to the public. How long is the waiting period between making FASTPASS Reservations? The waiting period can vary depending on how far off your return window is from when you booked it. If a ride’s return window is less than 30 minutes away, then the waiting period is 30 minutes (unless you activate the FASTPASS within that 30 minutes — once you scan it at a ride, you are free to make another reservation). If the return window begins between 30 and 90 minutes from when you booked it, then the waiting period ends as soon as the return window begins (if at 2 p.m. you reserve a ride that has a return window of 3:15 to 4:15 p.m., you can make your next reservation as early as 3:15 p.m.). If you choose a ride that has a return time that begins more than 90 minutes from booking, then your waiting period is 90 minutes. Being able to see all the available choices can help you plan and make decisions to best manage your day. You can have multiple FASTPASS reservations at a time. You just have to book the next one after the waiting period ends. With Disney MaxPass, you can exercise your prerogative to change your mind by simply canceling the FASTPASS. Under "My Plans," tap the name of the ride. On the bottom left, you can click the x that says "Cancel" under it. There are a few steps so you don't accidentally delete it. It will ask you which guests want to cancel. Check the canceling guest(s), then select Cancel Selections. It will disappear for that member. We love the flexibility of this feature because you can cancel for some party members but not all if some still wish to ride. This cancellation feature is another good reason to link the park tickets of people who might be using the paper FASTPASS system. If they are using the app, they can also cancel a reservation. This is our favorite part of using Disney MaxPass. If the ride breaks down in your return window after you've scanned your pass but before you have a chance to ride, it is like a fairy godmother waves her wand over your smartphone! Your FASTPASS turns into a Multiple Experiences pass. The new pass automatically pops up on your phone and allows you to take this FASTPASS to ANY RIDE that offers FASTPASS in that same park, at least for now. (This aspect may be changing soon, so keep hopping back for the latest developments as we will hop on it and report any changes as soon as we hear about them). You can even use it on rides that have run out of FASTPASSes for the day. If you open the pass and scroll down, you can see a list of available ride choices. This Multiple Experiences pass expires when the park closes, which means you have all day to use it. Insider tip: if you reserve a ride that is broken down or keeps breaking down, you increase the likelihood of getting a Multiple Experiences pass. Sometimes this pass comes up, but you original ride is still an option. You can use it on that or a different ride, but either way, the return window expiration has been lifted. This benefit is not limited to Disney MaxPass users, but the notice only shows up for people using the app. Traditional FASTPASS users can also take their park ticket to any FASTPASS attraction if their ride breaks down, but they may not even know about this great benefit or have no idea how many Multiple Experience passes are stacking up. Disney MaxPass users have the advantage of the notice, and the screenshots can be easily shared via text with others in your group. 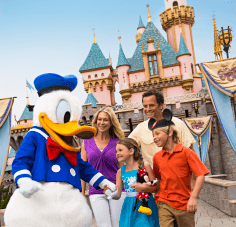 What Are the Advantages of Disney MaxPass? For most people, the biggest advantages are convenience and time. While we stick to our park plans, MaxPass allows us to see all of the available return times for rides without walking anywhere. We're big on hopping between Disneyland and Disney California Adventure on our visits, so we like to make FASTPASS reservations in the other park and use the wait time to walk over. We are hoppin' excited that guests can now obtain FASTPASS for shows like Fantasmic! and World of Color through Disney MaxPass instead of having to pick up a paper ticket. Time-saver! That means if people cancel their plans, other guests who missed the distribution window may be able to hop in and grab the reservation even after tickets are gone for the day! You can cancel a MaxPass FASTPASS through the app. Some days, many return windows are just a short time away, as in zero to a few minutes away. Reserve and ride — instant gratification. You can see all available rides and return windows in one park at once — no walking involved. You can reserve another ride in a much shorter time window. As soon as you scan your ticket at a ride, you can immediately reserve the next ride while you wait for your current ride. The longest period of time between making reservations is an hour and a half instead of two hours with traditional paper FASTPASS. The return time windows offered through MaxPass are often sooner than the traditional FASTPASS windows that are being distributed at the same time. Other park guest cancellations may open up earlier slots for MaxPass users. It saves paper. The traditional free FASTPASS issues a paper reminder ticket. People use their pass or park ticket to use FASTPASS, so the paper is not needed except to remind you of your return window. All PhotoPass photos taken on a day you have MaxPass are available for free download and sharing. Multiple Experience notification in case of ride closure. It saves a lot of walking and time. You can make FASTPASS reservations while in line, at a restaurant, while on the Monorail, or from your hotel room. You can also make a FASTPASS reservation from the other park, as long as you have entered a park for the day. It makes reserving as a group much easier. You can start making FASTPASS reservations during early entry such as Magic Morning or Extra Magic Hour. If you are park hopping, you can even make reservations for the other park before it opens! You are able to pick up ride cancellations, meaning a FASTPASS reservation might pop up for a ride that has otherwise stopped distribution for the day. You can get your FASTPASS reservations for shows like World of Color and Fantasmic! without having to walk over and collect the ticket — this is so much easier on park hoppers! This is the hardest question to answer, especially as the price increases. For many people, we think it is worth it. Guests who are making shorter visits — 1- or 2-day visits, especially during busier times — will most benefit. MaxPass definitely saves time and allows users to ride more rides than other guests. Many annual passholders, who. make a big chunk of the Disneyland-going population, use the service, as well. After using Disney MaxPass for more than a year, we can say the investment (especially since it comes with PhotoPass downloads) makes for a more fun experience with zero lines and less walking even on a busy peak day. Yes, a theme park ticket is already pretty pricey, but time is money. For $15, you can trade hours of wait time for riding more rides or getting to enjoy more aspects of the parks. Save the $15 somewhere else. Perhaps only drink free water in the park instead of buying expensive soda or food in the park that day to break even. Plus, the cost of MaxPass for one person is about the same cost as downloading one PhotoPass photo without MaxPass, so you can break even if you enjoy PhotoPass photos. Disney MaxPass is the best investment for someone who plans to arrive early in the day (especially if visiting Disney California Adventure) and stay most of the day. It's also great for those who come prepared with external phone chargers and loves thrills rides. MaxPass is a useful tool for people who like to park hop. If you are not interested in the FASTPASS attractions (you can find a list of FASTPASS rides here), then Disney MaxPass is not a great value for you. You can get it for some family members and not others. If you reserve a return time for three party members, you can bring three people in. In our experience, nobody checks to make sure they are the same three people who purchased Disney MaxPass. So you could play with the app when traveling with a group and substitute people if you need to here and there. Technically speaking though, Disney MaxPass is not transferable. Another way to save money is to use MaxPass on just one day of a multi-day journey and then use traditional FastPass the other days. You could also just focus on other rides and attractions in the parks the other days. There are a few quirks still being worked out with MaxPass. Disneyland Resort wifi is spottier than a speckled frog. You can find wifi locations by tapping the map with the app. On the pull-down menu at the top of the screen, click on Guest Services and Show List. Scroll down to Wireless Internet Access (Wi-Fi). Click Find on Map. The app does not connect well inside buildings, so choose your selections when you are outside. You do not need to open the app to use the FASTPASS because your park ticket or a screenshot of the FASTPASS will work. If you have technical difficulties, check to make sure you have the latest update. You can usually get help at an Information kiosk. The answer always seems to be to delete the Disneyland Mobile App, restart the phone and reinstall the app. Your information will be saved. If you cannot get a wifi signal, sometimes it is easier to use if you turn the wifi off and use your data plan. How much does Disney MaxPass affect phone battery? The biggest downside to Disney MaxPass is that all that extra phone usage drains your phone battery! Do not use MaxPass without a portable charger. They sell them in the park for $30, and they come with unlimited cartridge exchanges. You can also buy one elsewhere. There are a few electrical outlets in the parks. You can find some near some restrooms, but sitting outside a restroom to charge your phone for an hour is not why you pay for an app that helps you save time. We played with a few ideas to help conserve phone battery. Put your phone on low-power mode and turn off Bluetooth and Wi-Fi when you're not using them. Scan your park admission ticket or annual pass at FASTPASS return instead of the app. It is linked to the app, so once you reserve on your phone, you can use the ticket instead of turning on the phone to scan the code for entry. Avoid using your phone for miscellaneous uses while in the park. Check to see that photos have made it into PhotoPass, but don’t edit and dwell on them. If you want to add an on-ride photo to PhotoPass, snap a photo of the photo number and add it in later. Enjoy the photos later from your hotel room. Put your phone in airplane mode when you go underground in Pirates of the Caribbean, Indiana Jones, Soarin’ or deep in a building like Guardians of the Galaxy. This way, your phone is not burning battery trying to find a signal. Lower your screen brightness most of the time, but be sure to brighten it when scanning in at a FASTPASS return entrance so the scanners can read it. Where can I be to reserve a FASTPASS? You cannot reserve any rides until you have entered a park and activated Disney MaxPass. Hop Tip: the Monorail turnstile is an official entrance to the park, so once you activate your park ticket to ride the Monorail from Downtown Disney, you can start reserving your first FASTPASS while waiting. After you have activated your park ticket, you can be anywhere that has a strong enough signal to make a reservation. 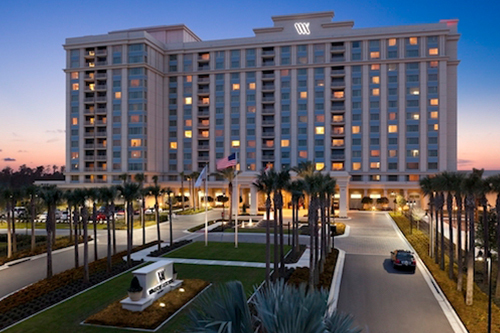 You can be in either park, Downtown Disney, your hotel room or really anywhere. The key is activating the ticket at any park entrance. After that, it does not matter. How many reservations can I have at a time? There is not a max amount of reservations you can have in one day or at one time. You will have a waiting period after reserving each ride, but you can book your ride as soon as that waiting period ends (even if you have not ridden the first ride or two yet), meaning you can have several reservations in the lineup. You should note the return times and choose rides that are realistic so you can arrive inside your return window. Keep in mind, you can arrive 5 minutes early before your return window starts and arrive up to 10 minutes after your return window ends. This means you really have about one hour and 15 minutes to use your FASTPASS. Choosing a return window several hours off works well if you have a meal, show or ride that does not offer FASTPASS to occupy you in the meantime. What doesn’t work in Disney MaxPass? You cannot book the same ride twice in a row until you have used the first FASTPASS for the ride. So no going on Thunder Mountain or Buzz Lighyear Astro Blasters 10 times in a row, Tad! At least not without using the previous FASTPASSes first. Once you scan your ticket at a ride, you can book a new reservation for that ride if you like. You cannot cheat the system by using your park ticket to get a traditional FASTPASS while you are in a waiting period for your next selection window. All FASTPASS reservations are linked to your park ticket. Can I Book FASTPASS for future visits, similar to FastPass+ in Walt Disney World? Disney MaxPass will only allow you to book day-of FASTPASSes. There is no advanced booking option. You have to enter the park to start reserving. We think this is a very fair system and leaves many FASTPASS options available for guests who are actually in the parks. Will paper FASTPASS tickets continue to be distributed for free? They still are and we expect them to continue to be, although they have evolved to an electronic system, as well. Now the paper ticket is just a reminder of your return window. You scan your pass or park ticket to enter the FASTPASS return line. Disney MaxPass and FASTPASS users use the same scanning system to enter. This electronic scanning process does lead to some longer FASTPASS return lines at the ride entrance, but it’s usually just a few minutes longer than it used to be. 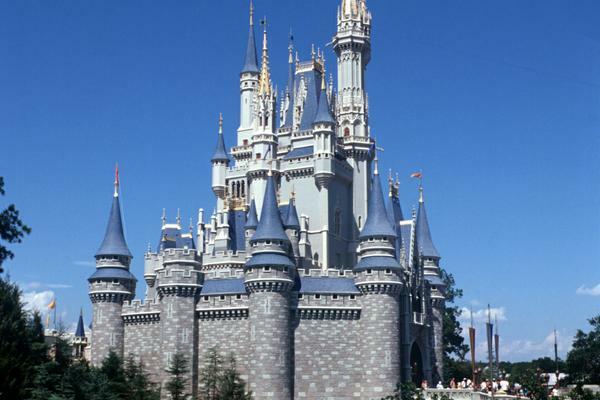 Will Disney MaxPass cause some attractions to sell out faster? In our experience with MaxPass, we have been pleasantly surprised to see that it has not really changed the speed at which FASTPASSes are distributed. We will continue to assess the situation. 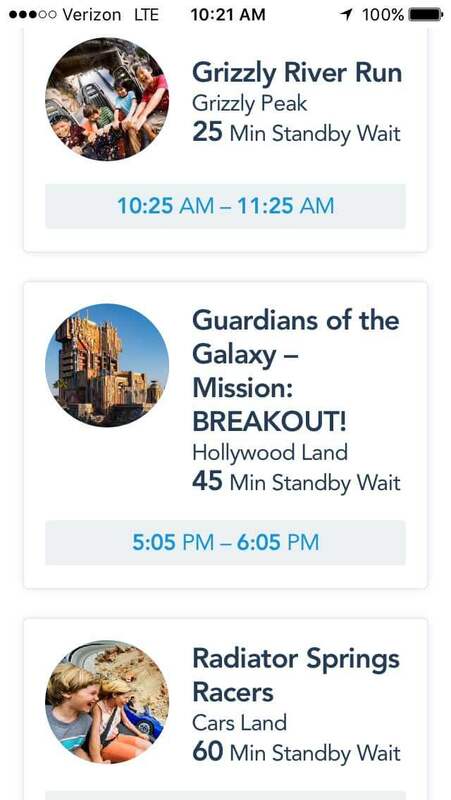 Guardians of the Galaxy and Radiator Springs Racers still run out the fastest, especially on days with Extra Magic Hour (because of higher crowds). But it’s possible that as more people start using Disney MaxPass, the FASTPASS distribution may speed up. Disney California Adventure runs through all of its FASTPASS distribution a lot faster than Disneyland, which still has options in the evenings, plus Disneyland is typically open later than Disney California Adventure. On very busy days, the choices become quite limited after 5:00 p.m.
Because more people seem to be using FASTPASS (both via MaxPass and traditional), the regular wait seems to be longer because they are letting more FASTPASS users in. That means that obtaining FASTPASS reservations is a priority in maximizing your day. The MaxPass user booking via the app does not have to walk to get the FASTPASS. Plus, MaxPass users sometimes enjoy somewhat shorter waiting periods before making their next reservation (especially when space frees up due to cancellations), so the MaxPass user can access more FASTPASS opportunities. MaxPass users can also go on more rides than the traditional user due to being able to book from anywhere. A traditional FASTPASS user scans their ticket at a ride, then rides the ride and has to walk to a new location to obtain a new FASTPASS. A MaxPass user who enters the ride at the same time can immediately book their next FASTPASS after scanning, and by the time they ride and exit, they may be able book one more, putting them two rides ahead of the free FASTPASS user. We think the most popular attractions in the park could reach their max FASTPASS distribution for the day sooner, especially on crowded days. FASTPASS sell-out depends on crowds, demand and attraction popularity. We've been at Disney California Adventure when Radiator Springs Racers was sold out for the day by 11 a.m. Expect Space Mountain to sell out first at Disneyland. Are there any attractions or entertainment that are exclusive to MaxPass? Nope. 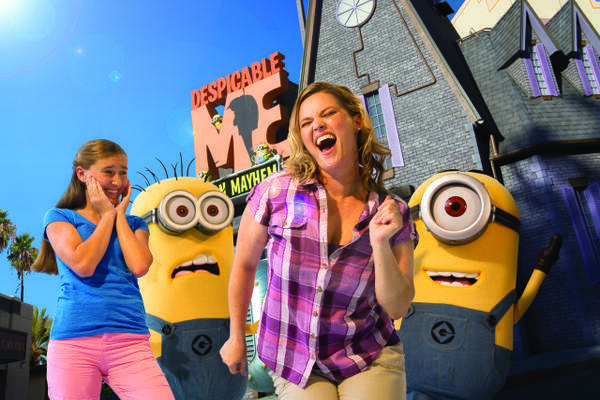 All attractions and entertainment will be available through paper FASTPASS and Disney MaxPass. How does the PhotoPass of MaxPass work? Right now you're familiar with PhotoPass and the friendly cast members who take your picture in front of prime photo areas, such as Sleeping Beauty Castle. With a Disney MaxPass purchase, you'll be allowed unlimited downloads of the pictures taken that day (but you do not have to download them that day). You can also download your on-ride photos by typing the ID number into the app. For those of you who cherish those pics, Disney MaxPass may be a great purchase. If you have three days of MaxPass, then you can enjoy three days of downloads. However, any PhotoPass photos taken the day before or after your MaxPass will not be free for downloading. If getting PhotoPass benefits is your main motivation for getting MaxPass, you can save money by just having one person sign up for MaxPass. Just make sure that that the MaxPass holder presents his or her phone (or scans a PhotoPass card) so all the photos are in that account. The MaxPass holder can share photos via social media, text or email right from the app. You have 45 days to download the images before they disappear. You can choose to print the photos for free at home or at a discount location. 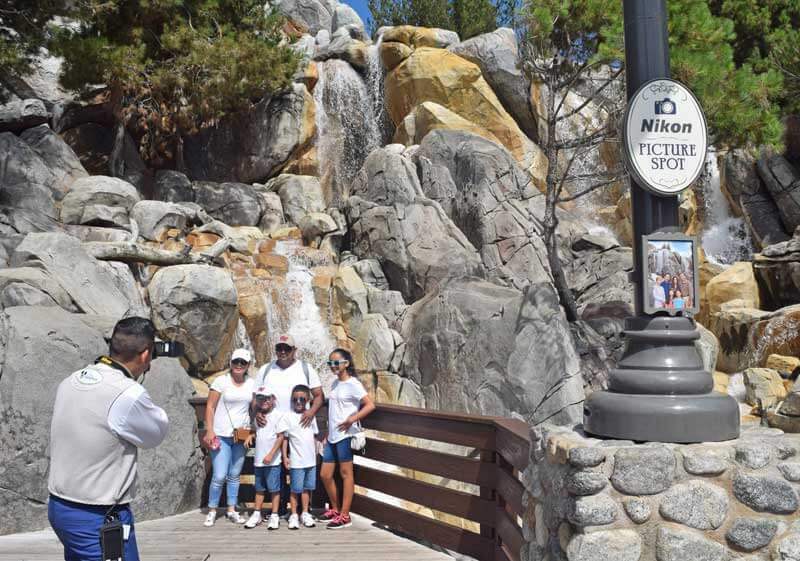 You can also print photos inside the park (for a premium fee) if you want to take advantage of some customizing souvenir features. You can now buy photo gifts through the app. If you are participating in a character dining experience, your PhotoPass photos from that event will be included in your Disney MaxPass benefits. But, you must have paid for MaxPass and entered a park with your park ticket the same day as the dining event — benefits only kick in once you have activated that park ticket! Here's how to use PhotoPass with MaxPass: Whenever a cast member takes your picture, you can show them the code in the app. Click Link Photos and Show PhotoPass Code. They will scan the code and the photos should appear under My Photos in about 20 minutes, although Magic Shots can take a few days to load. For an extra speedy experience, take a screenshot of your code to show to the cast member rather than waiting on the app to load each time. If you link your pass to the photo account, you can also provide your pass instead. If the photographer hands you a PhotoPass card with a code, you can link the card to your account. Click Link Photos, and you can link a PhotoPass card, type in an attraction number or link an annual passport. You should confirm while you are in the park that the photos have appeared without watermarks. 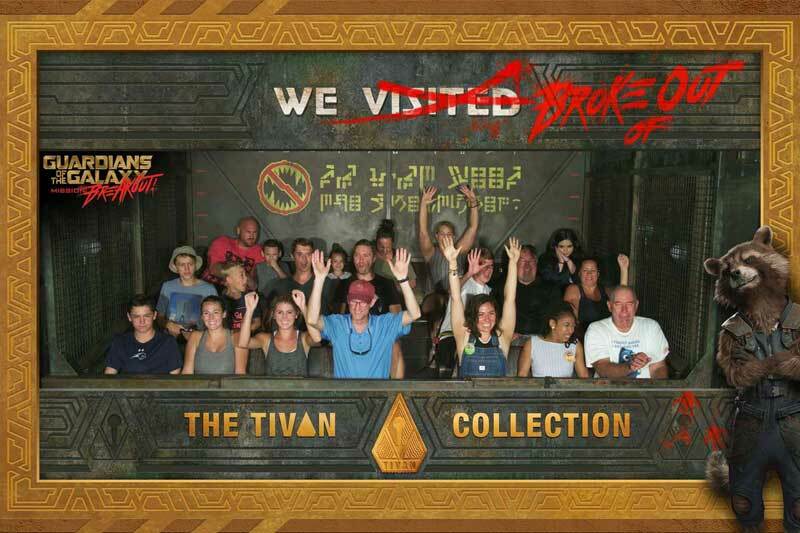 If you have any trouble, hop into the photo shops in either park for assistance. They have helped us track down missing photos and assisted in linking our passes to the account. It helps to know the location and time of day the photos were taken. How does park hopping work with MaxPass? Disney MaxPass is an especially helpful tool when park hopping. If you have a Park Hopper ticket and MaxPass, you can reserve rides and shows in either park, even during early entry. First, you will select the park you would like to make a reservation in. Then, you will choose a ride and return window that works for you. 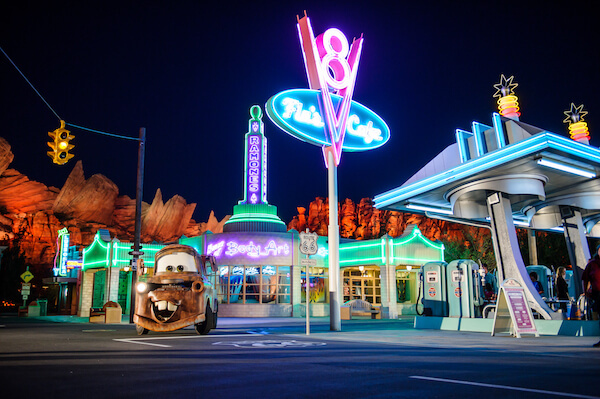 We recommend starting out in Disney California Adventure and then hopping over to Disneyland Park. There are plenty of FASTPASS reservations in Disney California Adventure early in the day, but the choices are much slimmer to nonexistent by early evening. Disneyland usually has a lot more FASTPASS choices later in the day. The rides that run through their distribution the fastest are Radiator Springs Racers, Toy Story Midway Mania, Guardians of the Galaxy and Space Mountain. What does this mean for Annual Passholders? Can half of my party use Disney MaxPass and the other half use paper FASTPASS on the same attraction? Yes, you can, but the people getting paper FASTPASSes will not necessarily get the same reservation times as the people using Disney MaxPass. Check that the return windows overlap before doing this option. A MaxPass user may choose to collect a paper ticket to get the exact same return window as people using the paper tickets. You can link the park tickets of guests who do not have MaxPass to the Disneyland Mobile App to manage those traditional FASTPASSes from the app (in case you want to cancel or want to scan the barcode from the app when entering a ride’s line). But if you are at Space Mountain and decide to reserve Splash Mountain, the free FASTPASS users are at a disadvantage due to distance. My tadpoles or parents don't have their own phones! No worries! One person in the party will be able to manage all Disney MaxPass FASTPASS tickets on his or her mobile device. You do not have to go on the same rides to do this. You can even go on different rides at the same time. They do not have to be with you as long as they know the return window and have their park ticket. Children age two and under do not need a FASTPASS to ride (as long as they are tall enough). 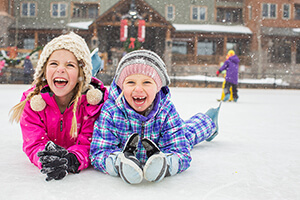 Make sure the parent riding with the kids has their park tickets handy or give your kids a safe place to keep their tickets, such as a lanyard or zippered pocket. There is in-park free wifi, but it is not throughout the park, and it can be slow. It IS getting better! When you find a signal, you will need to sign in and accept the terms. After that, your phone should pick it up where it is available. It is not usually available in ride buildings. We are hoping wifi coverage improves. People using foreign phones may have trouble using Disney MaxPass, and should look for wifi hotspots on the app. Will I be able to have more FASTPASS tickets per day with Disney MaxPass over paper tickets? So far, in our experience, definitely! Busy days and big crowds usually mean more people will be grabbing FASTPASS tickets. Less crowded days mean less demand for FASTPASS. We have used MaxPass in all kinds of crowds and found that we can get on a lot more rides in a shorter amount of time with MaxPass. Being able to instantly book the next ride no matter where you are or booking the second you go through the turnstile at the entrance saves so much time! How does the new Mobile Order service work with MaxPass? MaxPass can help you skip the lines for rides, but now you can also skip the lines at select quick-service restaurants in both parks by ordering meals through the app. Click Order Now and you are on your way to selecting a return window and restaurant where you can pick up your food without having to wait in any lines. 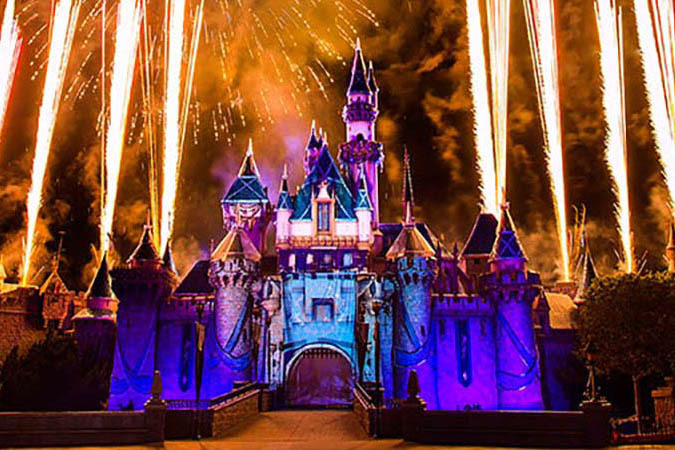 The app is turning out to be a handy tool to help you maximize your time at Disneyland! This new feature is why we recommend that different families each set up their own accounts through the app since the food is charged to the credit card on the account. Anyone with your login information can order food and charge your credit card. But all of the park tickets can also be linked to one account for managing and reserving rides while everyone maintains their own personal account information. You don't want to get stuck with everyone else's hefty food bill after the trip! Teenagers are always hoppin' to be generous with their parents' account information when buying food for friends. Just sayin'. Do I need to purchase MaxPass in order to enjoy a day at Disneyland and Disney California Adventure? You can certainly enjoy the parks without Disney MaxPass — we’ve all been doing that for years! But you will get a lot more done if you use MaxPass because the periods of time between making reservations are much shorter and the return times are a little earlier than the standard FASTPASS tickets. You also save a lot of walking time, being able to make reservations while standing in line for another ride or while eating a meal. We happen to love the convenience! 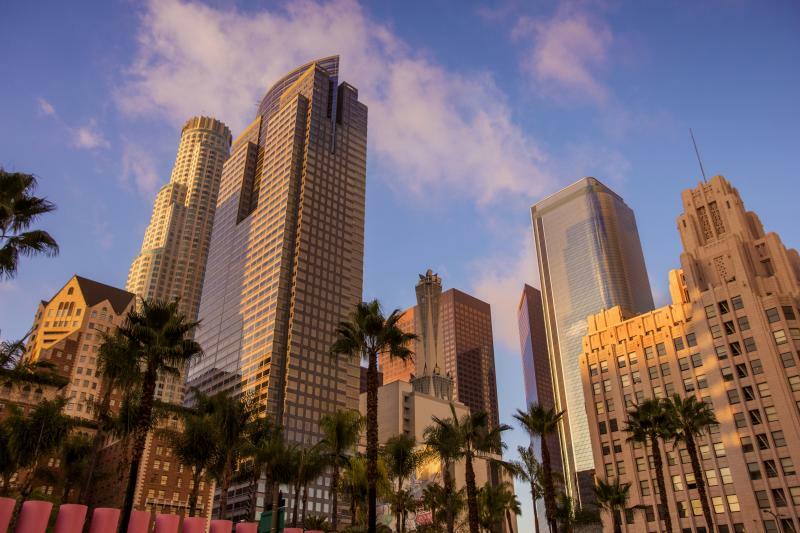 That said, we know people are hesitant about any kind of premium add-ons such as preferred parking, additional checked bag charges, premium viewing areas and more. We see this as a good tool to maximize time and get those great PhotoPass photos. If you have restless tadpoles, the convenience of not running between FASTPASS machines could be a plus. The same with those of us who can't walk long distances and want to avoid unnecessary walking. Families with other special needs or who already require DAS services may really appreciate having one more tool to help them maximize their day. You can view FASTPASS reservations and DAS reservations in the app, helping to keep your plans straight. We're always staying on top of more details about Disney MaxPass and leaving no stone (or lily pad) unturned. So be sure and drop us a line in comments and let us know what you think or if you have questions we haven't answered! Hello! Thank you so much for this information as I am traveling with a group of 12 students and was curious how to link all the tickets. We are attending a conference at the convention center and will not be able to enter the park until approximately 11am after morning workshops. Do you think Max Pass will still be worth it? We are planning to stay until the park closes. I am just worried all of the FP's will be gone by the time we are able to enter the park since we will be there on July 2nd and July 3rd. Thank you! It's difficult to predict FASTPASS distribution on any given day, especially around a summer holiday, but you should still be able to still use MaxPass for many rides as you are still arriving in the morning. Disneyland park will still have a lot of choices. If you do not see many choices for your group size, try breaking the group up into smaller batches of 4-6 people. To link the tickets, get the disneyland park app, find My Tickets and tap the + in the upper right corner. Tap Link Tickets & Passes and you can scan the barcode or type in the ID. Have a frogtastic time! Thank you so much, this was a great explanation of how Maxpass works and helped me with my decision to get it! The DL website really doesn't give you much info at all. Thanks again! We’ll be arriving into the park after lunchtime (driving into LA and have to check-in to our hotel). Since I won’t be in the park early that day to start reserving my FASTPASS’, am I probably not going to see many available time slots left for anything? The availability really varies per day based on crowd level. There are generally more choices left in the afternoon at Disneyland than at Disney California Adventure. You can check the attractions in the app before you get to the park to get an idea of what times of FASTPASS returns are being distributed for each ride. We are a party of 7 heading to Disneyland in June. We purchased 2 day 1 park per day tickets from Undercover Tourist and want to add MaxPass. Do i have to wait til we enter the park to purchase Max Pass? 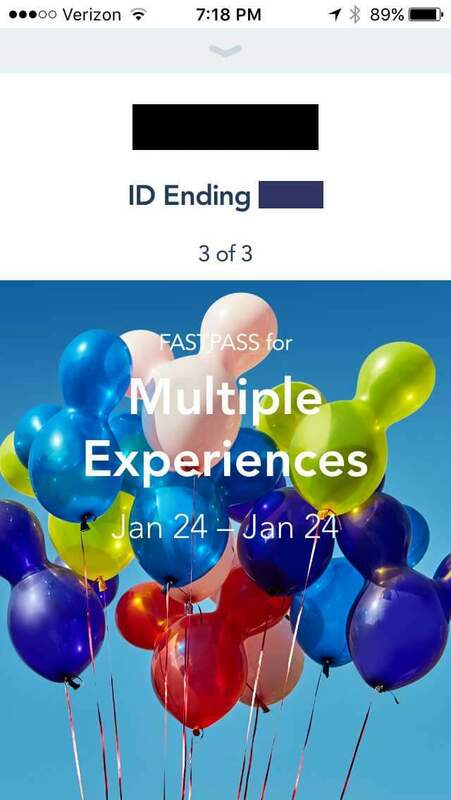 Do I scan all 7 people's tickets into my app when setting up MaxPass? And how do I set up the "party" as in put in the names of everyone? Is that something i can do ahead of time? Just trying to get this straight before i get there. Thanks for all the great info! Yes, you'll need to wait until you enter the park for the day to add MaxPass (the functionality doesn't work until you're in the park anyway, so it's not a huge deal)! You can link tickets bought separately; you'll just need to scan each ticket into the app once you enter the park. You do want to be careful what you name each person’s ticket because it will be easier to select the correct people for each ride if you have added the names correctly initially. Once they've been added, the option to add MaxPass will pop up. Enjoy! My niece is going to Disneyland in April and she has an older iphone. She was not able to update the Disneyland app on the newest update due to age of phone. She wanted to purchase MaxPass. Do you know if there is a way to get around this issue? We don't know a workaround, unfortunately, but we'll keep our eyes and ears open! How long does it take for photos to show up in the app? You should see photos pop up within about 24 hours of being taken. If they don't show up, you can fill out a lost photo form here for Disney to troubleshoot. Any updates as to when Fastastic will be included in MaxPass? I had read it was coming soon but can't find anymore info. TIA! We haven't heard any news about Fantasmic! being added to MaxPass, but we've got our eyes and ears open! The show is available for FASTPASS via the kiosk. We'll keep an eye out! 1) How can I Purchase MaxPass in Advance for One Adult only( Don't want MaxPass for Entire family)via Disney App after we enter our family's Tickets details? And really Sorry if these all are duplicate questions. Thank you & Keep Sharing more Info. So hoppy to hear you've found the site helpful! Thanks for taking the time to read and comment. If you already purchased your tickets, you can add MaxPass to one person as soon as you enter the park that day. Just select that one adult ticket ticket within the Disneyland app and it will take a just a few seconds to complete the process. You can download your photos on any devices that are logged in with your Disney account. You have 45 days to download the images. I went to Disneyland yesterday on my AP with attached MaxPass. The systerm did not let me book more than one MaxPass reservation at a time. It would say something like “oops you already have a reservation in your plan” even when ride window was open. Has there been a change or am I doing something wrong? Thank you! There is a waiting period in between booking rides. It sounds like you were trying to book again too soon. If you click the ride in your plans, it will tell you the next time you will be eligible to reserve the next ride even if you have not gone on the first ride. For return times that begin less than 30 minutes away from booking, the waiting period is 30 min (it gets erased early if you scan in for the ride in less than 30 min). For rides 30 minutes to 90 minutes away, you can book when the return window begins. For return times that are 90 minutes or longer, the wait time is a maximum of 90 minutes. Next time check your eligibility period and set an alarm on your phone to remind you to book. (And you cannot book the same ride twice in a row until you scan in first.) It can be particular! 3. Mom and Son get rider switch to ride when Dad and Son are back. Or, do we have to get a FASTPASS for Dad, Mom and Son in this case? Also, in order to get a rider switch, the other parent has to be present, correct? Like I can’t just show the ticket for my husband and get a rider switch before I ride a ride with my son...we all have to physically be there? You are very welcome - thanks for taking the time to comment! This should work with 2 FASTPASSes for Rider Switch. Just take your whole party to the ride before the first party rides to get a Rider Switch return time scanned onto your and your son’s tickets to ride in the second group. We have seen some inconsistency on whether they expect the supervisor to have a FP too, but most of the time it works for the supervisor to go without. We will be visiting both parks over 2 days in March, and requesting Disability Access Services for my husband. Does that system work with the MaxPass as well? I don't think my husband will last more than 5-6 hours, and we are trying to make the most of our time. Yes. You can use both the DAS and MaxPass. You can have one DAS at a time (which you collect in person) and they do not affect your ability to acquire FASTPASSes. Heading to DL at the end of the month. Will be there for 5 days. Are we able to choose which days we purchase Maxpass or will we have to purchase for the full 5 days? You are able to choose to purchase MaxPass by individual day. Yes, one runner can grab all of the paper FASTPASSes for the entire party as long as they have the park tickets. If you've linked all of your park tickets to the app, you will also be able to view the FASTPASSes in the app (or cancel them). I am only spending one evening at MNSSHP so wont have a regular ticket only a party ticket. I believe they dont do fastpasses for party nights(correct me if Im wrong but thats just what I have read) but would I be able to buy one maxpass so I could use the photopass? You are correct in that there are no Fastpasses available during Mickey’s Halloween Party. However, all guests get free PhotoPass for the night, so no need for MaxPass. The crowds are low and the lines are short! I plan on going to disneyland with my friends soon and we want to get maxpass. Is it possible to buy maxpass on different credit cards but link it to one phone? Yes you can link tickets bought separately.Just scan each ticket into the app. You do want to be careful what you name each person’s ticket because it will be easier to select the correct people for each ride if you have added the names correctly initially. Going the end of January so we didn’t plan to spend the extra on MaxPass... but ...if there is a photo we want to buy on a given day can I purchase one MaxPass after the picture was already taken? Thanks so much for all this information! I'll be heading down to Disneyland next month, so I'm trying to gather as much info now as possible! One thing I noticed when I opened my app today (trying to get familiar with it before I go), is that it's showing the Maxpass as costing $15 - do you know if this is this something they've changed recently? Maybe part of the ticket price increases this year? Great eye -- you are correct!The MaxPass has increased in price to $15 per day, as of Jan. 6, 2019. Good call about the likely price increase in anticipation of Star Wars Land. That happened today, January 6, and MaxPass now costs $15 per day. Thanks Mark! We'll continue to keep our eyes and ears open for updates. So is it possible to get MaxPass for a single day of a multiday ticket? Lets say my motivation is the picture aspect, and I decide to take them all on one day while the other days are dedicated to waiting in line for rides. You toadally can purchase a MaxPass for a single day of your multi-day ticket. MaxPass can be purchased on a day-by-day basis, so it's easy to add on as you see the need. We're going to Disneyland tomorrow. It's me and my daughter, and her two friends and their mother. We're purchasing our tickets online but will be purchasing them separately. We want to buy MaxPass but want to know if we can link them all together it we purchase them separately. And can we buy that ahead of time or do we have to purchase MaxPass once we enter Disneyland? Yes, you can link tickets bought separately. Just scan each ticket into the app. You do want to be careful what you name each person’s ticket because it will be easier to select the correct people for each ride if you have added the names correctly initially. If you buy ahead of time, you can purchase MaxPass through the app at the time you add the tickets after entering the park. I love your blog! You have tons of great info for someone new to the scene. I agree it is all overwhelming to someone who doesn’t know the lingo, but read and reread. Couple questions. 1. I have a multi day ticket but am taking days off in between Disneyland park days (ie we are going to warner brothers for a day in between to break it up). We will probably do character meals on days we will not be going into the parks to maximize our stay. How do I maximize PhotoPass vs. MaxPass to get all our photos in one spot (if possible) and cheapest while not entering the park each day but still doing character meals? 2. If I MaxPass to a ride with all my family members, can my husband ride with all the kids (that can ride) then swap with me (using some swap thing you mentioned) and I still ride with two children even though they have technically used their “FASTPASS”? 1.For the most part, the only PhotoPass photo they may take at character dining is the initial photo when you walk in with the host character. You are able to use you own camera for that photo as well, and you will use your own camera to take photos of the other characters as they come your your table, so you don’t necessarily need PhotoPass unless you really want those initial professional photos. They may bring a photo package with printed copies to your table of the entrance photo for your convenience, but you are under no obligation to buy. There are some other PhotoPass packages besides MaxPass. Hop into Main Street Photo Supply or Kingswell Camera Shop inside the parks on day 1 to find out if there are any other packages that may include the character dining that might work for you on days you are not in the park. It’s hard to find specific information on pricing online, but the in-store cast members can be helpful in guiding you towards the least expensive option if there is one. 2. Yes!Just be sure to take your whole party to the FASTPASS return entrance before the first group rides and decide up front which kids will be riding again. 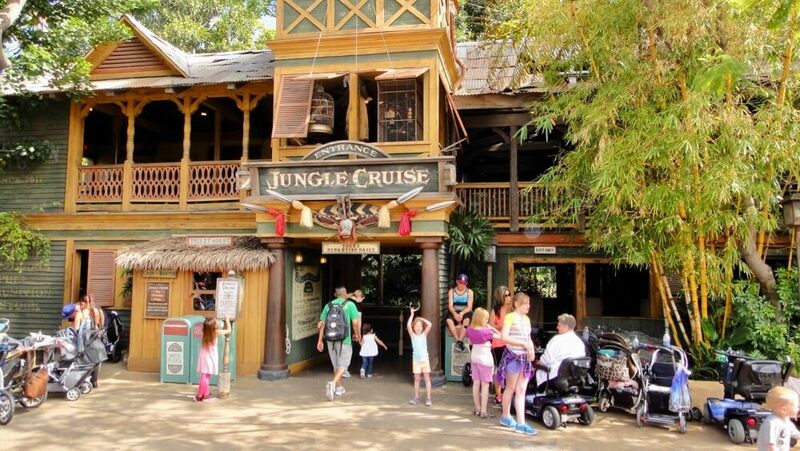 They will scan all the tickets of the supervisor and two kids and add another FASTPASS to their tickets to be used within a 1-hour window after they ride the first time. Hope you have a frogtasic trip! Thank you Mommy Frog! Family if 7, which includes a 3 year old and a 1 year old! ???? during the Christmas, holidays have been trying to figure this FP/MP for days so we can have a good time and not burn ourselves out has been confusing as heck! Your blog has answered more questions in the two minutes of reading, at 5:30AM, then the last two weeks of researching what it is and how to maximize it! Soooooooo, THANK YOU! And keep blogging! We are so hoppy to hear it! Please report back on your trip! I wish "Disneyland" offered these Maxpass options for free, we are paying them enough for just ticket prices. Even the ability to reserve rides on your phone app for free instead of having to run all around in person, that just seems like old technology. Anyway, I am considering buying a Maxpass just for myself to use for the free Photopass download for the family but i'm curious if I don't do that how much is it to download each picture? Each picture download costs more than MaxPass for the day ($16.95 per photo vs $10.00 for unlimited photo downloads with MaxPass), so definitely get the MaxPass. What if I wanted to buy TWO Themepark tickets for myself and get Maxpasses? I just visited and found the MaxPass still left me standing in LONG lines since I could only get ONE pass at a time. Yes...buying two tickets for myself would be expensive, but wondering if you can do that? I guess you'd have to go with a friend and each woudl have to go in and out of the park while the other was inside? or would they allow you to just have two tickets under your name? Hence - you get two fast passes. We haven't tried this ourselves. It seems like it would be possible but pricey. Most probably not understanding, but you can't have more than one Fastpass (in your planning) at a time, as you can't reserve the next Fastpass until your first Fastpass reservation window is opened; at which time you are getting ready to hop on first Fastpass and/or reserve the next one Fastpass allowed until the next reservation windows is opened, correct?....So, you only have one Fastpass at a time...What do you do meanwhile? Stand in line for another ride? 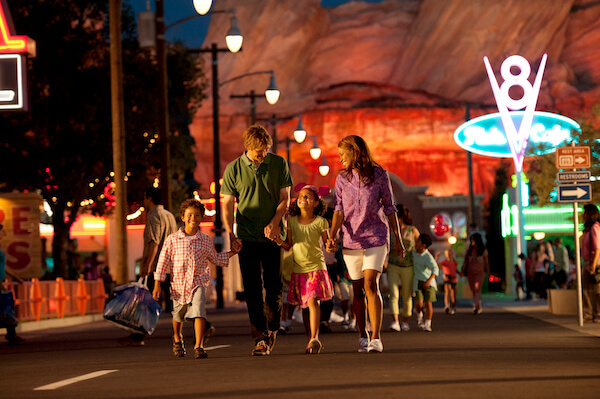 On most days you can have two or even three FASTPASSES in your planning with MaxPass. To do this, you’ll want to set alarms or reminders to reserve your next FP as soon as you are eligible, and you don’t need to redeem your FPs until the end of the return window (keep in mind you can arrive up to 10 minutes late). The eligibility windows can vary (see above in post) based on how far out your reservation is from when you select it. In the morning, try to book some rides that have return windows beginning within the next 0 to 60 minutes, but then feel free to choose a later return window once you have a few FP reservations lined up. You can keep reserving rides as soon as you are eligible, even if you have not used the other FPs yet. While waiting for your FP return window, you can enjoy other rides, shows, characters, or food instead of being stuck in line. One more tip: Waiting periods of 30-minutes (when you select FP windows that begin in 0-29 minutes) are erased by scanning into the FP returns, so you may want to arrive for those rides as soon as you can (up to 5 min early) so you can immediately book your next ride before riding the current one. Hello! I'm sorry, I still don't really get it. Is the max pass can only be purchased once we enter the park, or can we purchase it from weeks before? I'm planning to be there on 31 December, can I purchase the max pass from now? For people who have never been to Disneyland, this whole thing is confusing as hell. Specifically “How does fast pass/max pass work?”. Go to “rider return” blah blah blah. What does that mean? Return? So we check in at a “return” area of the ride with our “fast/max” pass but can’t ride until the designated time so we walk there? Stroll around and come back in an hour? Is this where the “return” comes in? The whole article was jumbled with insignificant details and no laymen’s explanations. Your article is geared for Disney veterans and not first time visitors. It was no help. Brooke, it sounds like you should do more research yourself, then. Our first trip to Disneyland is next week and just through a quick Google search I was able to understand how the Fastpast system works. This article is meant to outline how the Maxpass has changed the typical Fastpass process... Its not an introduction to the ins and outs of Disneyland as a whole. Thanks Mommy Frog for your well written, very helpful post! We really appreciate your feedback, and want to do everything we can to make our blogs more user-friendly! Thanks for letting us know that this might seem overwhelming to someone who is new to Disney. Thanks for sharing your knoweledge with us!!! Very useful and informative!!! Is there any limitation on how many Max Passes are sold per day? We will be the Disneyland during the Christmas holidays with two young kids (which mean the parks will be very busy) and I am concerned about what if we will not be able to purchased Max Pass on the Christmas day to compliment our already discounted pickets of 4 Days for the Price of 2 purchased from Expedia. The number of MaxPasses sold IS limited in order to make the system effective, but they only typically sell out on VERY busy days. We recommend arriving early on Christmas and hopping on your MaxPass ASAP! Well, you've absolutely warmed our froggy hearts this morning. Helping lovely people like YOU have awesome vacations is exactly what we're here for. We're so hoppy to hear you had the perfect trip. Always reach out if you have any questions! If the Fastpasses for an attraction run out for the day, will the Maxpasses run out as well? Hi. We are going to orlando with our 6 year old and have 2 questions. 1. How many rides can a person use with Max pass for a day ? Do you have a limit per day? 2. We bought the Max pass for the 3 of us. Can we use the left ones for our daughter, or only the person with name in the ticket can use it? Sorry for the confusion here - MaxPass is only available at Disneyland Resort in California. In Florida, Walt Disney World uses FastPass+. Can I link my tickets purchased through Undercover Tourist in the app before entering the park to save time? There is a place to enter the barcode numbers and I just want to make sure they don’t get counted as used before I enter the park. Thanks! Does max pass and fast pass work during Mickeys Disneyland Halloween Party? The Halloween party will be the only day we will be at Disneyland. Fast Pass is not available during the party, but wait times are typically much shorter. Thank you for this valuable information! Am I understanding correctly that, if I've already purchased park tickets, I cannot buy MaxPass until arriving inside one of the Disneyland parks? What if I want to use MaxPass on all of the days of our vacation? Would I just purchase it each morning, after entering the park? Would the photos from each day all be linked to my account together, even though MaxPass was purchased separately each day? You can buy MaxPass ahead of time, but it will not be activated until you have entered the park with a valid ticket. You can link all of your photos together. Excellent advice through and through! Is it best to buy park-hooper tix at the park or online ahead of time? If onlne, where's the best source? 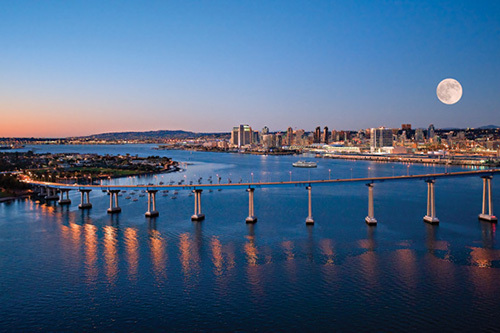 And if we are also planning on going to Universal Studios, Sea World & San Diego Zoo what are your thoughts on the Go Pass or the Southern California City Pass? At Disney Orlando we were able to book 3 rides at a time on the app using our FastPass. We could also book before actually entering the park. Reading what you've written about Disney California, it doesn't seem to work the same. Am I understanding correctly - only 1 FastPass can be issued at a time, you cannot use the app and can only do it once you've entered the park? And if we buy a MaxPass, we can use the app to book and have the option to book for another ride before actually using the current one as soon as a certain amount of time has passed? That is correct. You're an expert! Thank you for the tips! We went last week and found all of your DL information super helpful! One of the keys to our successful trip was MaxPass, saved valuable time and energy! First time Disneyland goers! My question is.... Do we need to link everyones tickets on every app? Should I link mine, my mom, brother and dads? Or just have them link it on their phone? They are in my friends and family list already... does that matter? Guess I just want to know if I need to get everyone's tickets and link them on every device? So we can all make Maxpass fastpasses? Anyone who wishes to book FastPasses for themselves and other members of your party should download the Disneyland app and link everyone's accounts. In order to do this, you will need to get everyone's tickets and link them on every device. This has been very helpful. We have already bought our tickets and want to purchase MaxPass. How do we purchase it? I cant find a link to buy it without it wanting me to buy disney tickets as well. Thanks! You must have your tickets activated before purchasing MaxPass - meaning you'll need to be in-park first. You can buy through the Disneyland app! Hi, we are visiting DL on September 15, just for one day. I read your advise regarding MaxPass and having Pictures with it. Do we need to purchase first Disney PhotoPass+ One Week ($78) and MaxPass for $10? Confused. PhotoPass+ is included with you MaxPass, so no need to purchase both. Hello! I keep reading in every website that you can only activate maxpass once inside the park, but what about BUYING it in advance? I bought my 117 dlls one day one person ticket plus 10 dlls fee for maxpass, how will this work once I enter the park? I really dont want to lose time putting my credit card info again... thanks!!!!! You can purchase MaxPass in advance, but it will not be activated (so you are able to book FastPasses) until you have entered the park with a valid ticket. My family and I are going in September. Been over 30 years since I have been. My question is, one adult will always be with our 2 year old, do we will utilized the rider switch option. Can I just buy 3 Maxpasses rather than 4 because of the rider switch? If you are a party of four including the two-year-old, then you'll just need three MaxPasses as children under 3 do not have tickets and can just go in with parents or you could use Rider Switch to take turns! Hello, we will be going end of August. We have a one year od with us, I was wondering if we do riderswitch with rides that have maxpass available would I still need to get 3 max passes for that specific ride? If you are a party of three, including the one-year-old, you would just need two MaxPasses as children under 3 do not have tickets and can just go in with parents. Or you could use Rider Switch to take turns. If you are a party of 4, including the one-year-old and an older child, then you should have three MaxPasses, because there are some rides that everyone can go on like Haunted Mansion, “it’s a small world” or Buzz Lightyear Astro Blaster, where you would not be using Rider Switch. Hope this helps! Thanks for all of this - very helpful!! I read through the comments and did not see this answered - I apologize if its a duplicate question. My family (of 3) will be using MaxPass for our trip this week - we have another person joining us for one day - they will arrive at the parks after us and will have just a single ticket - When she arrives, I can take a picture/scan her paper ticket into the app and link it with ours. Then can I purchase MaxPass for her and be able to make reservations as a group? Our do we all need to swipe/activate at the same time? Thank you! Once she arrives, scan her ticket, purchase MaxPass and you can all book rides together. Just make sure you are not in a waiting period from another ride when she arrives. Hi, I have a quick question. I know with our ticket fast pass we were able to hold 3 fast passes at a time. Is it the same with the MaxPass? It is not the same in Disneyland. With MaxPass, you must wait an allotted amount of time before booking your next FastPass. If we have 4 day park hopper tickets, can we upgrade to Maxpass for 1 day and then if we like it add the other three? Hey, is there a limitation to how many guests purchase max pass per day? I.e. only a certain number of max pass upgrades per day, is there a chance that the max pass upgrades sell out? I guess I’m trying to figure out if there is any benefit to purchasing it ahead of time. We are coming from oz and only have 3 days to see DL and CA so I feel it will be be a necessary investment. Thanks in advance! There is not a maximum number of people who can purchase MaxPass in a day, but each ride only distributes a certain number of Fastpasses per day - meaning the most popular attractions usually run out by afternoon or evening. We recommend MaxPass if you are going to arrive early in the day to take the most advantage of it and start reserving rides as soon as you get in the park and plan to make the next one soon as your waiting period is up. If you buy it later in the day, you may be disappointed with the selection. Can’t wait to visit again love all the tips we get from your newsletter and the site kept up the great work! is mid august a really busy time at disneyland California ? Most of August isn't too bad in terms of crowds. You can check out our Crowd Calendar for details!